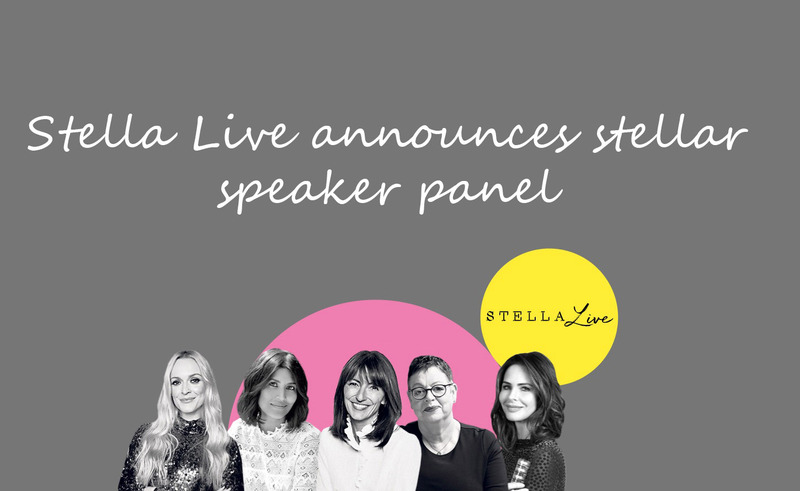 Stella Live, the inaugural event from The Telegraph, is excited to announce its first stellar line-up of confirmed speakers. From mental health awareness to make up masterclasses, Stella Live has got it covered. A packed programme of beauty, fashion, lifestyle inspiration and advice along with fun and provocative interactive debates and interviews will see a host of expert speakers and celebrities take centre stage. In conversation with Davina McCall – Friday 10 May at 12:30 With a television career spanning over twenty years and 14 fitness DVDs to her name, Davina McCall knows what it means to be a busy woman. Join Stella’s deputy editor Kate Bussman for an honest conversation with one of the nation’s favourite television presenters. Fearne Cotton, Bryony Gordon, and Middults explore their relationship with anxiety and how they have learnt to understand it and find their happy places. Wellbeing entrepreneur, TV presenter and best-selling author Liz Earle, shares her wellbeing insights from gut health to mental health and menopause with The Telegraph’s Anna Magee. Trinny Woodall will be delivering a make-up masterclass using her premium make up brand. A will be Q&A hosted by The Telegraph’s Lifestyle Features Editor Claire Cohen. You will also take home a free Trinny London gift. Brand building expert and fragrance entrepreneur Jo Malone CBE will be discussing her career business and reinventing herself. Join Stella Editor Marianne Jones for a refreshing talk with the woman behind the fragrance. Jo Brand’s latest book is a gathering of all the things she wishes she’d known, all the things she’s learnt, and all the things she hopes for the future. Guaranteed to be an entertaining conversation with Stella’s Features Editor Laura Powell. Visit stellalive.co.uk for further details. Standard tickets include entry to a four-hour session, a glass of Mirabeau “La Folie” sparkling Rosé, access to The Stella Live Theatre and all talks and panels within The Stella Studio on a first come, first served basis. Plus, access to beauty treatments and demonstrations from leading beauty and fashion brands. Telegraph subscribers will also receive an exclusive Goody Bag which includes products from Marc Jacobs Beauty, Kloris, Deliciously Ella & Nails Inc (worth over £200).